There's been a death in the fashion family and no it's not another model or designer suicide. News of the grisly fate of Alan TBH Plumptre (above), the beloved Twitter hero mascot of Brit silvertail bible Tatler, who died yesterday after getting trapped in the revolving glass door of London's Vogue House, has made global headlines. While the sad story has brought out the black comic in some - "Straight outta Zoolander" Tweeted Ian Prior, sports editor of The Guardian - it prompted a backlash on Twitter (and the #condenasty hashtag) and begs the question: why did anyone think it was a great idea to be walking a small animal through the automatic doors of a busy office building in the first place? Fortunately some in the public eye set a far better example. Victoria's Secret Angel Candice Swanepoel was snapped yesterday carrying her Jack Russell terrier through automatic glass doors at New York's JFK airport. Pets other than service animals are supposed to remain in their carriers at all times at JFK, so perhaps Swanepoel was cut some slack by authorities. It's unclear what the pet policy is over on the west coast at LAX, however heart throb Ryan Gosling made headlines after being papped carrying his own dog George - a much larger animal - up an escalator there in 2011 . Beyond hygiene issues, it's clear why airports have these sorts of policies. Anyone with a modicum of common sense would surely appreciate the fact that airports are potentially extremely hazardous environments for animals - not to mention small children. 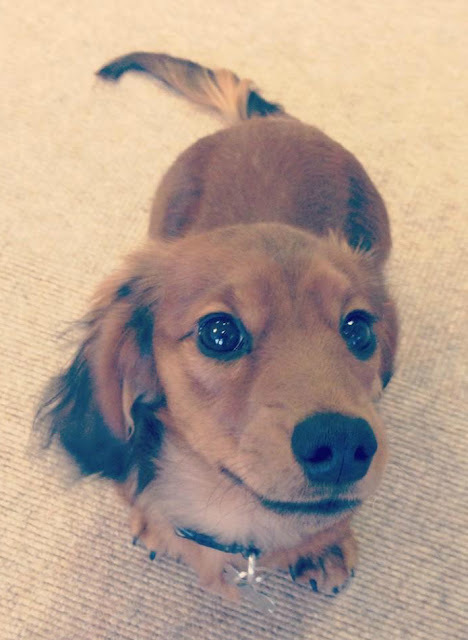 Alan was a miniature long-haired dachshund puppy, believed to have been five or six months old. A baby, in other words. Tatler staff appear to have been very focussed on getting lots of cute shots of Alan in and around the office for his Twitter feed - which advertised his affiliation with the magazine ("Office Manager @TatlerUK by day - The Badger Hunter by night"). Footage of him dressed up in a Christmas outfit was also included in Tatler's Christmas video. Far less attention appears to have been paid to the duty of care of the animal - certainly on this occasion and sadly, this was the occasion that counted. Had he been wiped out by a car mounting the kerb outside the building, that would have been a freak accident. A long-haired dachshund puppy coming to grief in the jaws of revolving glass doors - not quite so unforeseeable. The dog was allegedly on a leash at the time of the accident, returning from a walk. Reportedly, he had been spooked by a man entering the building and rushed at the doors, with both somehow becoming trapped. Reports that the dog was in fact decapitated have been hosed down by Condé Nast, but then of course they would deny it. All up it took two fire engines, 10 emergency crews and over an hour to extricate the man - who was apparently unharmed - and the dog, who was pronounced dead at the scene. We've got no doubt that the Tatler staffer who was walking Alan feels terrible (again, reports that an intern was responsible have been denied) - and that his owner, Jennifer George, is heartbroken. However frockwriter finds it hard to believe that the dog was in fact on a leash. And even if it was, why was it not being carried? And what were the building regulations anyway regarding animals at Vogue House? It's not like Londoners have not had dog safety policies drummed into them. 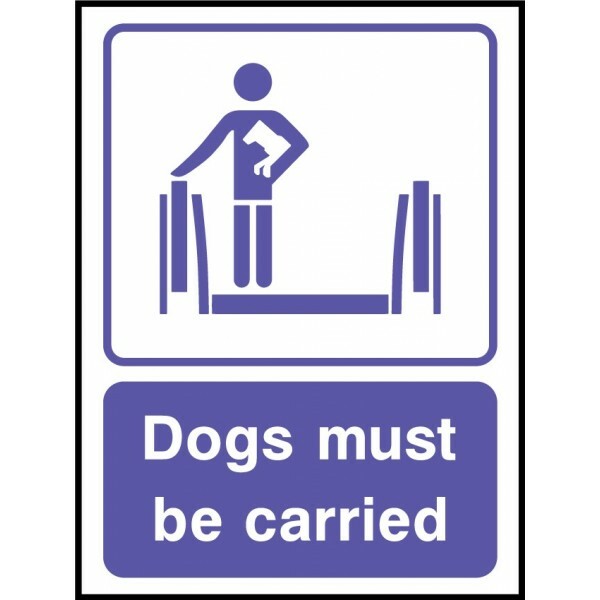 London Tube travellers are permitted to take their pets with them whilst using the network, however anything beyond a guide/assistance dog has to be carried at all times, with the infamous "Dogs must be carried" signs prominently displayed throughout Tube stations and on the trains themselves.